Turmeric (Curcuma Roxb xanthorhiza) were included in the ginger family (Zingiberaceae), Wild Ginger is a medicinal plant native to Indonesia. However, the plant Curcuma spread widely grown in Java, Maluku and Kalimantan. Characteristics of Wild Ginger grows as a bush without stem. Starting from the base is in the form of a long leaf stalks upright. Plant height between 2 m / s to 2.5 m. The leaves are round as long banana leaves where the stem leaves are close to each other to form the stem. These plants can thrive in the lowlands with an altitude of 750 m above sea level, plants can be harvested after 8-12 months with traits such as leaf yellowing want to die. Tubers will grow at the base of the stem is dark yellow or light brown with a length of 15 cm diameter and 6 cm, smells fragrant and slightly bitter slightly spicy. ginger has been used for generations by our ancestors to treat jaundice, diarrhea, heartburn, flatulence and fatigue. Last can also be used to lower blood fats, antioxidants prevent blood clots and maintain health by enhancing immunity. With many tangible benefits such as medical, the government launched the "Ginger Drink Movement" since 2 years ago. Benefits of Turmeric Medicinal Plants. 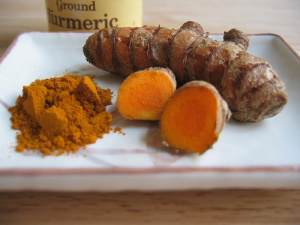 Turmeric is a form of shrubs and herbs is an annual (perennial) spread throughout the tropics. Plants grow lush and wild turmeric around the forest / former gardens. Thought to originate from the twinkle in the height of 1300-1600 m above sea level, there is also a saying that turmeric comes from India. In Java, turmeric is widely used as a medicinal herb for soothing nutritious, cleaning, drying, relieves itching, and tingling cure. The main benefits of turmeric plants, namely: as a traditional medicine, herbal medicine and industrial raw materials, cosmetic ingredients seasoning, ranch, etc.. Besides turmeric rhizome plant is also useful as an anti-inflammatory, anti-oxidant, anti-microbial, preventing cancer, anti-tumor, and lower levels of blood fats and cholesterol, as well as a blood purifier. Nasty shard or Javanese people call it by the name "Sambang geteh", while on the ground Pasundan known as "remek meat", "reundeu Beureum", and call it by the name ternate "lire". This plant has a lot of minerals such as potassium, calcium, and sodium and other mineral elements. Besides, there are also silicic acid, tannins, and glycosides. Its usefulness as a remedy dysentery, diarrhea (diarrhea) and drugs, and kidney stones can also be as lowering cholesterol. The leaves of this plant other than to drink boiled water, can also be eaten as fresh vegetables every day and do it regularly. Leaves nasty shard is also often used to treat itching of the body in contact with caterpillars or black ants, by applying direct way leaves nasty shard on the itching part. To cope with diarrhea (diarrhea), dysentery, all parts of this plant boiled for about half an hour, kudian water is taken. The same process for treating kidney stones. Leaves nasty shard can also overcome diabetes by regularly eaten as fresh vegetables every day. Similarly to mengobai liver disease (jaundice), ambient (hemorrhoids) and gastritis by means eaten regularly. 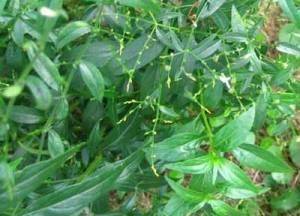 Bitter (Andrographis paniculata), is a kind of herbaceous plants of the family Acanthaceae, a native of India and Sri Lanka. Sambiloto can also be found in other regions, such as Indonesia, Malaysia, Thailand, as well as some places in the Americas. Andrographis genus has 28 species of herbs, but little is medically efficacious, one of which is Andrographis paniculata (bitter). Many bitter leaf contains compounds andrographolide, a bicyclic diterpenoid lactone compound. Bitter chemical compound was first isolated by Gorter on tahun1911. Andrographolide has properties to protect the liver (hepatoprotective), and proved capable of protecting the liver from negative effects galaktosamin and paracetamol. Efficacy is closely related to the activity of certain metabolic enzymes. 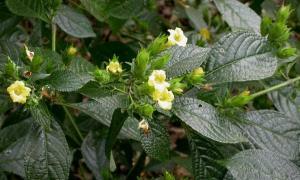 Sambiloto have long known to have medical properties. Ayurveda is one of the ancient Indian system of medicine that includes bitter as medical herbs, which are called by the name of bitter Kalmegh on Ayurveda. In addition to protecting efficacious liver, bitter can also suppress the growth of cancer cells. This is due to the active compound, namely andrographolide, lower expression of the enzyme CDK4 (cyclin dependent kinase 4). HANDEULEUM (Graptopthyllum pictum [L.] Griff) Efficacy and treatment: Hemorrhoids: 10 g leaf fresh handeuleum washed and boiled in 2 cups water until the remaining 1 cup boiling water. Once cool, strain and drink boiled water in the morning and afternoon of each ½ cup. Bruising: bark finely cleaned and then massaged and wrapped with a bandage on the bruised area. Replace two meals a day. Constipation: 7 wash leaves then boiled with 2 cups water to 1 cup. Once cool, strain and drink as well. Bulbs ginger oleoresin contains compounds known as gingerols which acts as an antioxidant. The nature is what makes ginger touted antiaging useful as bioactive components. Ginger bioactive components may serve to protect the fat / membranes from oxidation, inhibit the oxidation of cholesterol, and boost immunity. Various benefits of ginger are traditionally well known is as follows: Cold Remedy: Take the old ginger thumb, washed and crushed and boiled with two cups of water, add brown sugar to taste. Simmer approximately 1/4 hours. Lift and drink warm. Headache or migraine (migraine) Remedy: Take the Seibu finger ginger, roasted and crushed. Brewed with a glass of water and give a little sugar, drink once. Drink three times a day. Preventing motion sickness Remedy: Take the Seibu finger ginger, washed and thinly sliced, then boiled with a glass of water. Warm drink before boarding the vehicle. Sprains Remedy: Take ginger approximately two segments. Rinse and then shredded, add a little salt. Apply this mixture on a sprained limbs. Do it twice a day. Garlic (Allium sativum) is a herbaceous annuals berumpun having a height of about 60 cm. This plant is widely grown in the fields in the mountainous area gets enough sunlight. Pseudo-stem and the stem is green. Bersiung bottom-cloves, joining a large white bulbs. Each leather-wrapped cloves sliced ​​thin and if it smells very sharp. Ribbon-shaped leaves (flat elongated), edge, pointed tip, grooved, length 60 cm and width 1.5 cm. Fibrous roots. The flowers are white, long-stemmed and umbrella shape. 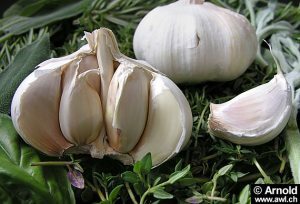 Garlic can be used for alternative medicine as follows: a. Garlic Flu and Cough. Sulfur contained in garlic makes it have a distinctive odor and taste that can enhance and accelerate the activities of mucous membranes in the respiratory tract, which helps relieve compression and mucus. Raw garlic contains phytochemicals that may help kill bacteria and viruses that cause disease. How do I use it? Eat as much garlic as soon as you feel pain or add garlic to the dish. You can also make a cough medicine with this recipe: Mash garlic and input into the cold milk in a saucepan, then heat about 1-2 minutes, and drink warm. b. Garlic and Cholesterol Now there are more than 12 studies published around the world to ensure that the garlic in various forms can reduce cholesterol. Therefore, it can be concluded that garlic can cure high blood pressure, heart disease. One study published in "The Journal of The Royal College of Physicians" by CS Silagy and Neil HAW 1994 mentioned that garlic is an agent for reducing fat. The author states that garlic supplements is the most important part in the healing of high cholesterol. According to him, on the whole, a decrease of 12% of the total cholesterol. This decrease occurred after 4 weeks perawata c. Garlic and Onions Cancer also has content for fighting cancer, particularly cancer of the stomach and colon. Organosulfida contained in garlic helps the liver to process toxic chemicals, including cancer-causing chemical that several epidemiological studies show that people who consume lots of garlic lower risk of stomach cancer and colon. To ensure that you get maximum results, researchers from Penn State Unipersity recommend to let the first piece or collision onions for at least 10 minutes, giving time that onions form the contents that help fight cancer. Avocados are rich in vitamin A and carotene which is good. Likewise, the minerals potassium and low in sodium. Reportedly, foods high levels of potassium and low sodium is a healthy food to maintain a healthy heart and blood vessels. According to Dr. Samuel Oetoro, SpGK, a nutritionist from Semanggi Specialist Clinic, people with diabetes are advised to eat an avocado. Avocados can also be used for beauty, for example, cope with cracked heels or dry skin by blended and used as a mask. Pieces of fruit avocado sliced ​​thinly like plates can also be used to treat tired and puffy eyes. Meanwhile, mashed avocado mixed with lemon and can be used as penghitam hair. The trick, which has been refined avocado was smeared on the hair, and then covered with a shower cap for an hour. After that wash with shampoo. 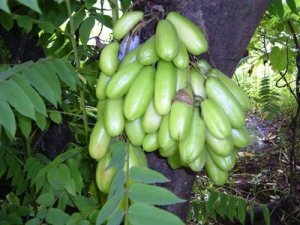 With a variety of properties owned this delicious fruit, I think we need to get used to incorporate this fruit to your diet daily, either as juice, salad, and fresh drinks. amount of vitamin C in broccoli is greater than the calcium content of broccoli juice is also larger than a glass of milk, and broccoli are also known to contain more fiber than a slice of whole wheat bread is very easy to consume way, can be eaten raw, sauteed, blended as one ingredient soup or steamed vegetables. Improve brain power Researchers from the Royal Pharmaceutical Society to prove that broccoli contains compounds similar to Alzheimer's disease drugs. Alzheimer's is a form of dementia (memory loss) is the most common among the elderly are caused by the enzyme acetylcholinesterase. Broccoli is considered to have anti-acetylcholinesterase strongest. Cloves are dried flower buds of the clove tree generated, clove trees grow in tropical areas, Indonesia is known as one of the producers of cloves. Many crops produced in the Moluccas. Clove today mostly utilized for flavoring food while utilization for health has been known for centuries. In China cloves are used to eliminate bad breath over 2000 years ago, at that time the Emperor to suggest if people want to see him have to chew cloves in advance so that when the talk will smell fragrant. Even cloves in China and Persia are also thought to stimulate sexual pitalitas. Cloves are very strong efficacious drug because it can stimulate. Anti-bacterial, anti-viral and anti-septic. Once processed into Clove oil can be used for pain relief for toothache sufferers because the content of the compounds contained therein can help blood circulation and stimulates the skin when applied directly to the skin. Herewith informed several benefits Clove for treatment, including: • Stimulate aromatic breathing: Used to treat nausea, vomiting, abdominal bloating, fatigue and indigestion. Clove oil can also be used as a powerful antiseptic and wound healer and can relieve throat. Cloves are used as a real drug used to protect them from colds and flatulence. Helps stimulate blood circulation and regulate body temperature. • Indigestion: Clove can stimulate the production of enzymatic and improve digestive functioning. Cloves are used in addressing permasalahn stomach, abdominal pain and digestive problems. As for how pembuatanya drug used to treat vomiting, abdominal pain and throat is to soften cloves and mixed with honey then dimimum. • Cholera: Cloves are very powerful to cope with cholera because it can strengthen the stomach and intestinal mucus and increase the number of white blood cells, as for how to take 4 grams of clove bud and 3 cups of water and boiled until it becomes half. • Asthma: For treatment of asthma medication how to take 6 petals cloves 30 ml of water and mixed with a little honey, do it 3 times a day. • Toothache: To cope with toothache how to use 10 grains of cloves roast until charred. Milled until smooth, put teeth kelubang to taste, then cover with cotton. Apply 2 times a day. Another way: plug untreated cavities with cotton that has been soaked clove oil. • Ear pain: how to cope with a dab of clove oil to the ear ache using katembat. • Headaches: To address how the mixing headache cloves, salt and milk, because of the nature of the salt to absorb fluids and lowers blood pressure. • Blood Circulation: Clove oil beneficial to increase your metabolism, increasing blood circulation will lower your body temperature. God leaves lush shrub belonging to the altitude of 0-1000 feet above sea level. Plant height can reach 50 cm. Single short-stemmed leaves are round-shaped eggs pointy toes. Both leaf surfaces with white hair. Color of the upper surface of the leaves in dark green, while light green underneath. The flowers are located at the tip of the stem, yellow tubercular. Pharmacological effects of god leaves are anticoagulants (coagulant = substances that simplify and accelerate blood clotting), anti-coagulant effect, stimulating circulation, stop bleeding, remove heat, and cleanse toxins. God leaves contains saponins, essential oils, flavonoids, and tannins. Pharmacological effects obtained from the whole plant. god leaves can also cope with seizures in children and some bleeding. To overcome the injuries hit, do not come menstruation, bleeding in women, breast swelling, coughing, and vomiting blood all gods crushed plant leaves, or boiled, and the water is drunk. When the children had seizures give drinking water from a leaf stem gods. The leaves can be used to address the warts and tumors. For warts puree the leaves and placed on the affected area and leave until the next day. To overcome tumor, please eat as a salad leaf god. To make herb cancer of 30 grams of fresh leaves of the gods, 20 grams of white ground, 30 grams jombang which boiled with 600 cc of water until the remaining 300 cc, then filtered and water was drunk. Synonyms: Latin Name: Physallis angulata Linn. Or physallis minima Linn Region Name: keceplokan, nyornyoran, cecenet, cecendet CLASSIFICATION: Nation: Solonales Ethnicity: Solonaceae Highways: Physallis Type: Physallis peruviana L PURPOSE: In the treatment of Alternative Herbal Influenza, Sore throat, whooping cough, bronchitis, Mumps, crusting fruit testicles, Boils, Ulcers, Diabetes, Pain lungs - pulmonary, Ayan, crusting prostate. Curable Disease: Diabetes mellitus, gastritis, diarrhea (upset stomach), Cold, Beser; Prolapsisani, Thrush, Skin Hospital, a new wound; Utilization: 1. Diabetes Mellitus Ingredients: 1 piece of guava half masakCara make: guava fruit cut into four pieces and boiled with 1 liter of water until boiling, then filtered water untukdiambil. How to use: drink 2 times a day, morning and evening 2. Ulcer Ingredients: 8 pieces of guava leaves are still fresh. Method: boiled with 1.5 liters of water to boiling, then filtered to take water. How to use: drink 3 times a day, morning, afternoon and evening. 3. Abdominal Pain (Diarrhoea and Diarrhoea) Ingredients: 5 pieces of guava leaves, 1 piece of root, bark and stems Method: boiled with 1.5 liters of water to boiling and then filtered to take water How to use: drink 2 times a day morning and evening. 4. Stomach ache or diarrhea in infants who are breast-feeding Ingredients: young guava and salt secukupnya.Cara use: chewed by mothers who breastfeed their babies, the water is swallowed and the waste is disposed. 5. Sign Wind Ingredients: 10 pieces of guava leaves are still young, 1 whole red pepper, 3 eye sour fruit, 1 slice of coconut sugar, salt to taste How to make: all the ingredients are boiled together with 1 liter of water until boiling and then filtered to take water. How to use: drink 2 times a day. 6. Beser (frequent urination) redundant Ingredients: 1 handful of guava leaves are still young, 3 tablespoons powdered rice fried without oil (couple = Java.) How to make: two ingredients are boiled together with 2.5 cups water to boil down to 1 glass then disaring.Cara use: drink every 3 hours once 3 tablespoons. Orange juice has many benefits. Besides being a refreshing drink, a fruit that has been consumed for thousands of years also can prevent temptation to cure various diseases. Indeed, there were so many oranges, including tangerines, sweet oranges, grapefruit, lemon, orange sauce, lemon, mandarin oranges, and much more. However, the benefits in terms of none that matched the lime. Orange juice is a herbaceous plant with many branches. Height can reach six feet. Oval-shaped leaves and stalks. White star-shaped flowers. Woody stem is hard and usually bear fruit after 2.5 years. The fruit is round with a smooth surface, thin-skinned, and green and yellow if it is old. The plant is thought to have come from north India region. Citrus fruit juice contains a lot of water and vitamin C are high. Leaves, fruits, and flowers, oil containing fly limonin and linalool. Normally lime grows well in lowland areas much sun. People in the Netherlands, especially who live in big cities such as Amsterdam, The Hague, and Rotterdam, have known the benefits of orange juice from a few centuries ago. Similarly, people in the United States. They began to recognize the benefits of lemon juice since ancient Indian times. Ohio State Biotechnology Center in the city of Columbus, Ohio, USA, has done research on lime. As a result, orange juice is rich in vitamins and contains a number of minerals. Orange juice is a nutritious fresh lime, thin-skinned, and green and yellow. Besides fruits, roots, leaves, and flowers lime is often used as a medicine. According to Dr. Prapti Utami, citrus fruit juice contains some substances that are beneficial to the body, among other things, citric acid, glucose, fats, essential oils, vitamin C, calcium, phosphorus, sulfur, and amino acids. "The amount of content contained in the lemon juice to make fruit is widely used as a medicine, Essential oils of lime leaf can inhibit the growth of staphylococcus aureus (the bacteria on the skin). Lemon juice can be used as a mouthwash on tenggotokan pain sufferers. Fragrance makes delicious, savory when we rinse. His skin, when held in the mouth, can scent or reduce mouth odor and resolve inflammation because it contains acids that can kill germs. Due to various kandungnan oils and substances in it, lemon is also used to overcome dysentery, constipation, constipation, irregular menstruation, diphtheria, acne, dizziness or vertigo, hoarseness, cough, body odor, increase appetite, prevent hair loss, dandruff, flu, fever, too fat, tonsils, Anyang-anyangan disease (painful urination), nosebleeds, and inflammation of the nose. Local Name: Distance elephant trunk. Curable Disease: Fever, swelling beaten, bitten usual. 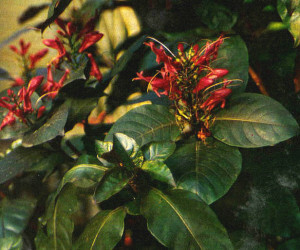 Utilization: PART USED: Whole plant PURPOSE: - Fever - Swelling hit - Bitten by a poisonous snake USAGE: To drink: 10-15 g boiled. The waste used to be attached to a hospital. Composition: CHEMICAL PROPERTIES AND EFFECTS pharmacological: Sweet, bitter, cold. Relieve pain (analgesic), eliminating swelling, eliminate toxins and cleanse the heat. TEAK NETHERLANDS (Guazuma ulmifolia Lamk) Synonyms: Latin name: G. tomentosa Kunth.Sun Region Name: Teak or teak Sabrang londo CLASSIFICATION: Nation: Malvales Ethnicity: Sterculiaceae Highways: Guazuma Type: Guazuma ulmifolia Lamk. PURPOSE In HerbalDiare Alternative medicine, abdominal pain, cholera, Penyembelit, Slimming body, Adstringens, cough, stomach bloating, stomach sesek taste. Example Kemuning For Drug Use: 1. Boils, dried yellow roots as much as 30 g of washed and cut into pieces as needed. Boil 3 cups water until the remaining 1 cup of boiled water. After chilling filtered and drunk. 2 times a day, each 1/2 cup. 2. Rheumatism, sprains, bruises, dry yellow roots as much as 15-30 g of washed and cut into pieces as needed. Add wine and water each 1 1/2 cups, and boil until the remaining 1 cup. After chilling filtered and taken 2 times a day, each glass. 3. Bruising, Kemuning and glass plates, each leaf of fresh, equally, washed and milled halus.Tambahkan little wine, stirring over low heat. Warm placed on the body bruised. 4. Arthritic joints pain, yellow root and root tembelekan (Lantana camara) washed, add 3 pairs of chicken feet. All the material is cut into pieces as needed and add enough water until submerged / All materials are then steamed. Warm and water to drink as well. 5. Toothache, Oil coming out of the bark of a burnt yellow dripped into the hollow tooth. 6. Slimming body, yellow leaves and leaf fresh noni (Morinda citrifolia) each handful and Intersection dribbles as 1/2 finely pinkie finger. Add 1 cup cooking water, stirring evenly. Squeeze with a piece of cloth. Accumulated water taken once in the morning before eating. 7. Inflammation of the testicles, leaves as much as 60 g of fresh yellow and bitter herbs as much as 35 g of washed and boiled in 3 cups water until the remaining 1 cup water. After chilling filtered, then taken 2 times a day, each 1/2 cup. Do it every day until it heals. 8. Urinary tract infection, fresh yellow leaves as much as 35 g of washed and then add 3 cups water. Boil until the remaining half. After chilling filtered and drunk 3 3 times a day, each 1/2 cup. 9. Coming irregular menstruation, leaves yellow and leaves nails boyfriend (Lawsonia inermis) of each fresh ingredients as much as 1/2 handheld, ginger rhizome 1 finger, washed and cut into pieces as needed. Add 3 cups water and boil until the remaining 1 cup water. After chilling filtered, then taken 2 times a day, each 1/2 cup. 10. Rough skin, fresh yellow leaves as much as 30 g of washed and pounded until pulverized. Add 1 cup water, stirring evenly. The material is then dilulurkan on the skin before going to bed. 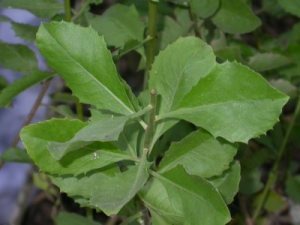 Although these plants are small and funnel-shaped, but has a lot of benefits. For example just for hair makeup, mixed flowers for mandian deodorizer, and a utility at the funeral for the China and India. Pull enchanting flowers became the talk people in our country due to impressed with the shape and the color is interesting. Flower color is composed of a variety of colors, such as orange, red, pink, pale red, yellow, purple, white, and various blends of colors. A little care compact, watering and fertilizing water perfectly able to restore the freshness of these paper flowers in a period of less than two weeks. And if you want to plant flowers bloom beyond this paper, we only need to reduce the provision of water and fertilizer then put potted plants in places exposed to the sun. Whiskers is a medicinal plant in the form of wet-trunked plants upright. This plant is known by various terms such as: kidney tea plants / java tea (UK), giri-giri angry (Sumatra), remujung (Central Java and East Java) and songot koneng (Madura). Plants cat whiskers from the tropical areas of Africa, then spread to Asia and Australia. Major areas: Mustache cat (Malay - Sumatra), cat whiskers (Sunda), remujung (Java), a salaseyan, songkot koceng (Madura). Species whiskers contained in Java is O. aristatus, O.thymiflorus, O. petiolaris and O. tementosus var. glabratus. Clones whiskers grown in Indonesia is white and purple flowering clones. Leaves wet and dry cat whiskers beneficial used as medicines. In Indonesia, the dried leaves used (crude) as a drug that expedite expenditure of urine (diuretic) while in India to treat rheumatism. Community use cat whiskers as a traditional medicine in an effort gout cure coughs, colds and constipation. 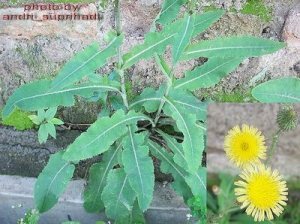 Besides, the leaves of this plant are also useful untu treatment of inflammation of the kidney, kidney stones, diabetes, albuminuria, and disease syphilis. Powder is a Javanese term for rhizome type of call, if the people of Aceh called Ceuko, scientific name is Kaempferia galangal. He was among relatives of gingers (Zingiberaceae gamilia), so it's still his brother turmeric, ginger, keys, and so on. Like his brother, the other names are still brothers, kencur has similarities here and there without stem growth and form rhizomes in the ground. Rhizome is the most important part of the body, because the profits. Powder plant can live anywhere, as long as the soil loose and fertile, with a little shady. By refining the process of kencur will produce essential oils, Based on laboratory analysis, volatile oil in the rhizome kencur contains more than 23 different kinds of compounds. Seven of them contain aromatic compounds, monoterpena, and sesquiterpene. Chemical constituents present in the rhizome kencur are: • starch (4.14%) • minerals (13.73%) • astiri oil (0.02%) • • sineol form metal acid penta kanil • Independence • • cinnamic acid ethyl • aster • sinamic acid borneol • kamphene • paraeumarin • • anisic acid alkaloids, and gums • With the chemicals are so widely used as a medicine, here's how to use kencur based disease that can cope: Influenza in Infants Ingredients: 1 rhizome kencur thumb and two leaves cubeb (pepper caudate / Cubeb). How to serve: the ingredients are finely ground, then add a few tablespoons of warm water. How to use: applied / dibobokkan around each nose. Headaches Composition: 2-3 kencur leaves. How to serve: kencur leaves until finely ground. How to use: applied (as compress / pilis) on the forehead. Sprains Ingredients: 1 piece of rhizome kencur and rice that has been soaked in water. How to serve: the ingredients are finely ground and water. How to use: applied / rubbed on the part of the sprain as a powder. Eliminate tired Ingredients: 1 large rhizome kencur, 2 tablespoons rice fried without oil (couple) and 1 red chilli seeds. How to serve: all the ingredients are boiled together with 2 cups water to boil down to 1 cup, and then filtered How to use: drink once and repeated until healed. For men can be added with 1 piece of ginger and pepper powder to taste. Stomach Inflammation Ingredients: 2 rhizome kencur thumb. How to serve: kencur peeled and chewed thoroughly. How to use: swallow the water, the waste is dumped, then drink one glass of water, and repeated until healed. Cough a. Ingredients: 1 rhizome kencur thumb and salt to taste. How to serve: kencur shredded, then to add 1 cup of warm water, squeezed and filtered. Search using: drink with added salt to taste. b. Ingredients: 1 rhizome kencur thumb. How to serve: kencur peeled and chewed thoroughly. How to use: water is swallowed, the waste is disposed. Done every morning routine. Streamlining Menstruation Ingredients: 2 rhizome kencur of thumb, 1 trengguli leaves, 1 clove old fruit seeds, fennel pulawaras taste. How to serve: kencur chopped, then mixed with other ingredients and boil together with 3 cups water to boil down to 2 cups, then filtered. How to use: drink 2 cups once a day. BENEFIT PLANT mangosteen fruit can be presented in the form of fresh, as canned fruit, made syrup / juice. Traditionally mangosteen is a cure ulcers, hemorrhoids and wounds. The rind is used as dyes for textiles including water boiled and used as traditional medicine. The trunk is used as a building material, firewood / crafts.